We will be closing the winery early today at 5PM for a private event. Normal hours will resume tomorrow. Great Holiday Gifts from the Winery! We are open for business through Christmas Eve. Click here for hours. Last minute gift idea? Don’t worry. We have many great gift ideas in our tasting room. Stop by to view our collection of gift baskets, wine, wine-a-ritas, fruit jams, wine corks, cups, cork-catchers, wine bottle & mason jar candles, wine bottle candelabras, ceramic plates, cheese boards & platters, tee shirts, sauces, salsas & syrups, wine glasses & charms, wine pressurizers, mulling spices, soaps, corkscrews & more…. Our gift baskets are full of wines, candle melts or candles, jams and jellies, crackers and sausages! Wine bottle candles are cut and hand-poured right here at Sanderson Family Farm! They make great gift ideas or settings for the holidays. Salsas also come in a variety of flavors. Here are just a few! We have flavorful mustards, relishes, salsas, bbq sauce, syrups and jams! These are favorites by our customers and make great gifts. Our Sanderson Family Farm jams come in a variety of flavors! There is something for everyone! We have a variety of styles of wine racks, wine caddies and decorative cheese plates available. We have cork-catchers in a variety of shapes and sizes. They are great for saving corks from special occasions or for decoration! Our mulling spice sachets make for a great addition to our wine on a cold winter’s night. Or just boil them for added spice to your kitchen during the holidays. Our wine candelabras are some of our most popular gifts for our customers. They come in a variety of colors and sizes and make a nice compliment to our wine too! Our ceramic wine corks are very colorful and are a nice compliment to our wines for holiday gifts! Wine charms, wine corks, cheese cutters, white squirrel mugs and corks make great Christmas gifts for others OR yourself! Our wine racks come in a variety of shapes and sizes, and make great gifts for yourself or others. Our mason jar candles are poured right here at Sanderson Family Farm by Marjie Sanderson, and come in a large variety of highly fragrant scents. They have wooden crackle wicks for a cozy natural sound while burning. More White Squirrel Artisan mason jar Christmas candles! Mason jar candles come in a large variety of fragrances and are made right here at Sanderson Family Farm! Freshly jarred pickles and jams available! Get one of our white squirrel coffee mugs for your home or others! Holiday wax warmers are available as well as hand-poured wax melts made right here at Sanderson Family Farm. They make nice gifts or home decorations! We have just completed our 3rd wine glass painting workshop and we had so much fun! Come join us for our 4th wine glass painting class July 9th, taught by professional artist and art teacher Marjie Sanderson. The theme of this class is “Grapes Galore”! (The same theme as the June 25th class in case anyone attending the June class wants to paint another for a set, or if anyone missed the June class! We’ll be offering another theme shortly after and we’ll post info soon.) “Grapes Galore” is a fitting theme for a painting class in the vineyard tasting room. We will supply all of your tools and materials, 1 glass of White Squirrel wine of your choice, and light hors d’oeuvres made by Bill Sanderson. Our last classes have been so much fun and the talent exhibited was amazing. You do not have to have any experience with painting, and you will learn some new techniques even if you do. We do not all leave with the same exact image as is the case for some painting classes. That is what makes these workshops unique and exciting. Marjie will be on hand to give you tips and instruction when needed as well. We will have another glass painting class very soon, so look for that info. We look forward to seeing you here, it’s great fun to paint together! To register, call (731) 796-1713 or email cwsanderson59@gmail.com. White Squirrel Winery’s music dates are set for 2015 and we have some great musicians lined up. 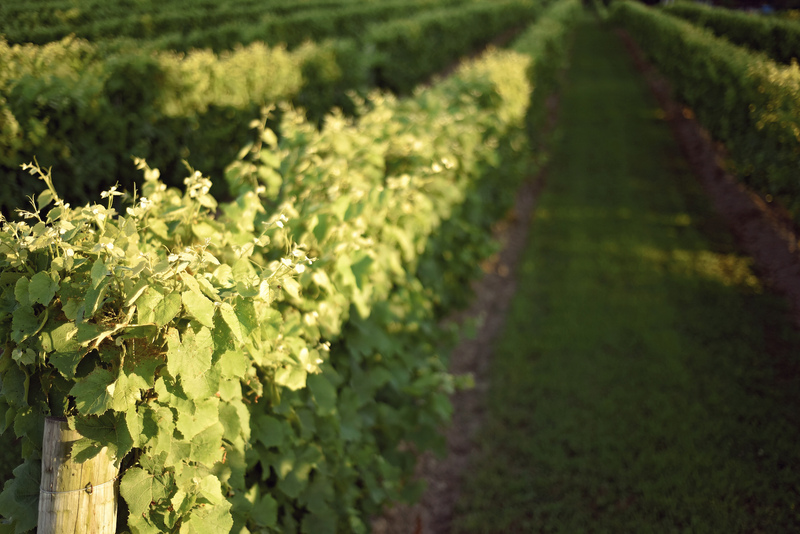 Enjoy delightful free live music in the vineyard, surrounded by the beauty of the grapevines. Sip on your favorite White Squirrel wines, artisan cheese and sausages too. We have specialty foods and drinks at some events. Gather your friends for a fun outing. We may add some other special music events so look for those posted on our website and facebook page. See you soon for some music! Come relax and celebrate Independence Day with free live music at White Squirrel Winery. Listen to the live music of the Chad Karnes duo from 5-8pm and order up a pitcher of frozen “Wine-A-Ritas” to eat with hot dogs, artisan cheese, sausage and crackers. You can stop by Kenton’s “White Squirrel Festival” to see their car show and vendors beforehand and after our music, you can see Kenton’s fireworks at 8:30 pm. You can see them right from the vineyard or downtown Kenton at the Kenton gym. Happy July 4th all! *Note that our hours for this event are later than usual business hours. We will still be open for our regular business hours too. White Squirrel “Tennessee White Muscadine” wine bottled! Back by popular demand, our “Red, White Squirrel & Blue” semi-sweet Rose wine has recently had its 2nd vintage bottling. Stop by to do a tasting or purchase some as a front porch sipping wine or patriotic gift for a friend. Come relax in the pavilion or patio and see the vines budding in this beautiful 80’s degree weather. Hours are Friday & Saturday 12-6pm and Sunday 1-5pm. Happy Easter Sunday to all! We wish you a very happy Easter today and hope that you spend time with loved ones. We will be closed Easter Sunday so we can do the same. We appreciate your business and will be open next weekend during our regular hours, Friday and Saturday 12-6pm, Sunday 1-5pm. Come see the tulips in bloom then and enjoy this glorious Easter day! Our Valentine’s Day Dinner is sold out! Our Valentine’s Day Dinner is now sold out and at full capacity of 70 for this dinner. We sold out in a week after posting. Thank you to all who reserved their spot, we are looking forward to making it a special and memorable Valentine night for you! We’ll keep all posted on our next special event at White Squirrel Winery and for those who can’t make it to this year’s Valentine dinner, we look forward to seeing you at next year’s event!